FRESNO, Calif. (KFSN) -- Some Fresno County Firefighters battling the fires in Southern California got a little 'star power' surprise. 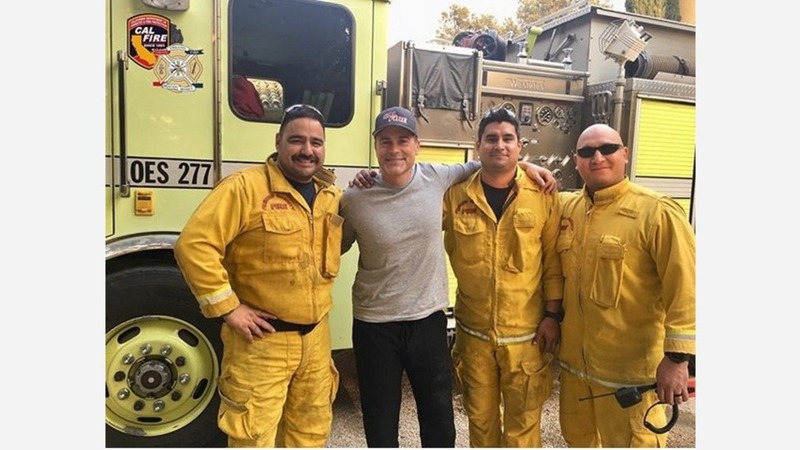 In an Instagram post, the Fresno County Cal Fire crews posted, "OES (Office of Emergency Services) hanging out with Rob Lowe in Montecito at the Thomas Fire." Actor Rob Lowe was among residents who evacuated over the weekend. Officials handed out masks to those who stayed behind in Montecito, an exclusive community about 75 miles (120 kilometers) from Los Angeles that's home to stars such as Oprah Winfrey, Jeff Bridges, and Drew Barrymore. The blaze - known as the Thomas Fire - has destroyed more than 680 homes, officials said. It was just partially contained after burning more than 360 square miles (930 square kilometers) of dry brush and timber. The fire has been burning for more than a week.